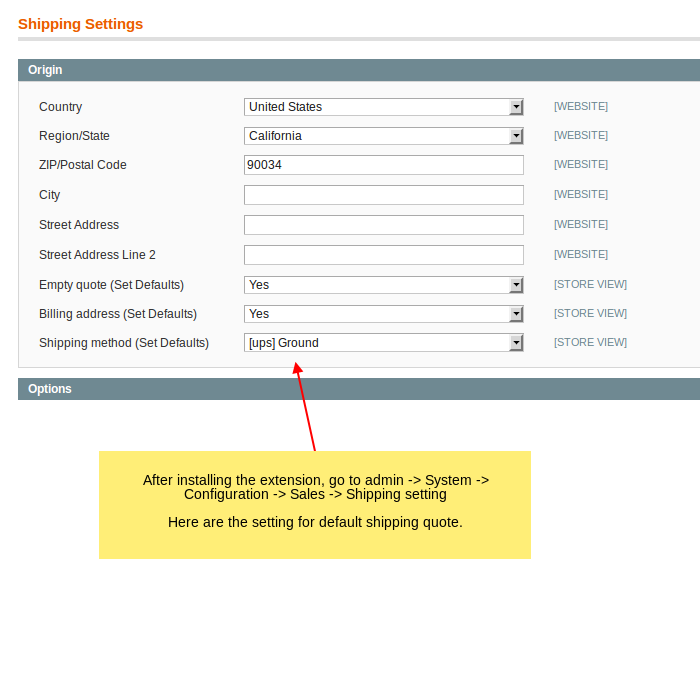 Default Ship extension allows admin to add default shipping quote in cart. Sometimes approx 99% of your customers use a specific method when they purchase something. This is often the case for European shops serving just one country. 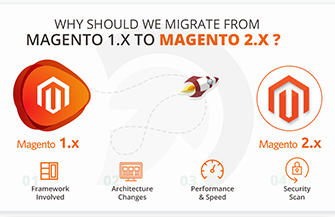 By default, Magento allows customers to get a quote estimate for shipping costs in the cart page. The customer has to set it’s country and select the appropriate method in order to get a correct shipping price every time the customer wants to purchase. In the scenario I mentioned earlier, it could be best to just set the country / State and shipping method by default. This way the customer will always get a price including shipping costs. Never again will they be surprised by a higher then expected price at the end of the checkout process! 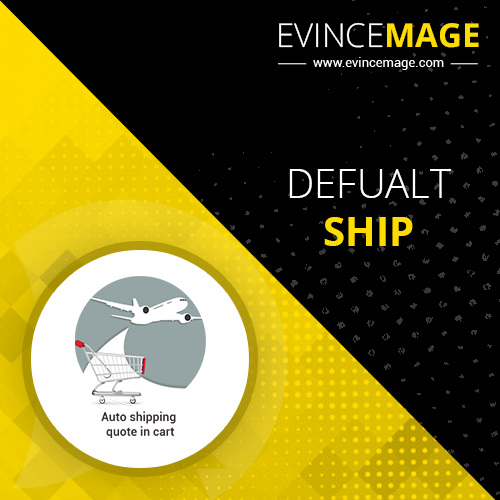 For doing this, Evince Default ship extension that allows to catches Magento’s sales quote before totals and set a shipping method if none is set. 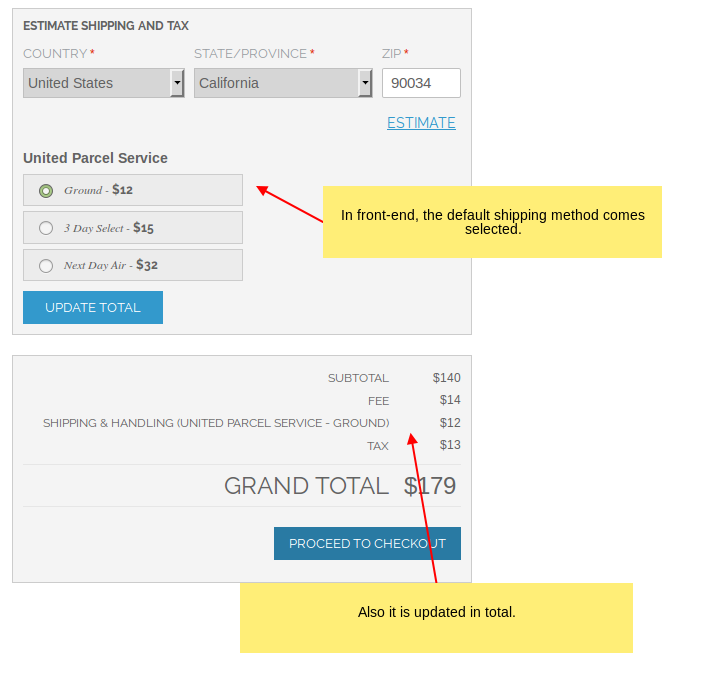 This shipping method and price for that can be configurable from back-end at extension setting. By this, when a customer visits your site and start shopping, then all prices will be shown including shipping costs.